Each month, the Candis Lucky Number Draw gives you 253 chances to win. Every month we’ve fabulous prizes up for grabs with our exciting competitions. We’ve gifts for the home, your family and just for you with our exciting giveaways! 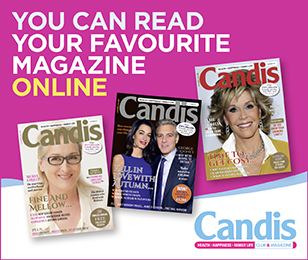 Join in the fun and you could win with Candis online bingo. Submit your answers and be entered in for your chance to win money. Are you up to date with celebrity gossip? Take our fun celeb quiz! Check out the rules for all our competitions and giveaways.